The advantages of dental implants over other options for replacing your teeth are many. You will feel much more confident as dental implants look and feel just like real teeth. In addition to this implant-supported bridges replace your lost teeth without needing the support of your remaining natural teeth. Dental implants also integrate with your jawbone, which helps to keep the bone healthy and intact. 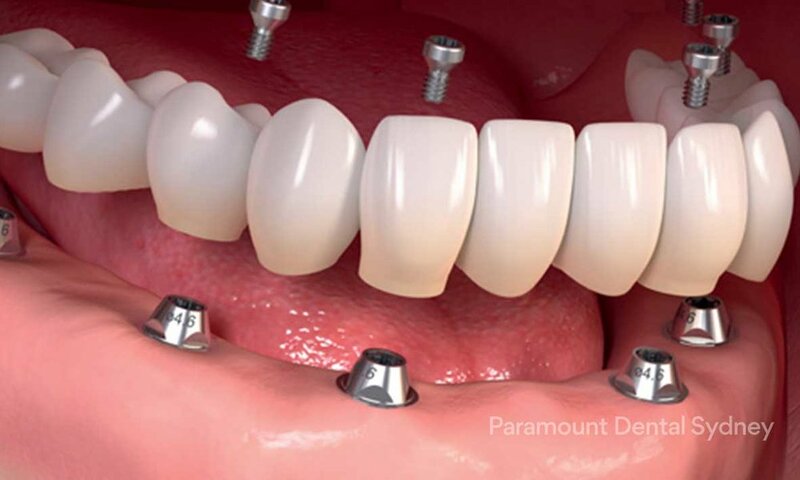 All new treatments at Paramount Dental Sydney begin with a through examination of your mouth, teeth and jaw. For dental implants we will ask you questions about your dental and medical history and take detailed images of your teeth. We talk to you about your treatment options to make sure this long-term and permanent option is the perfect solution for you. When the treatment starts we place the implants (they look like small screws or cylinders) into your jaw. 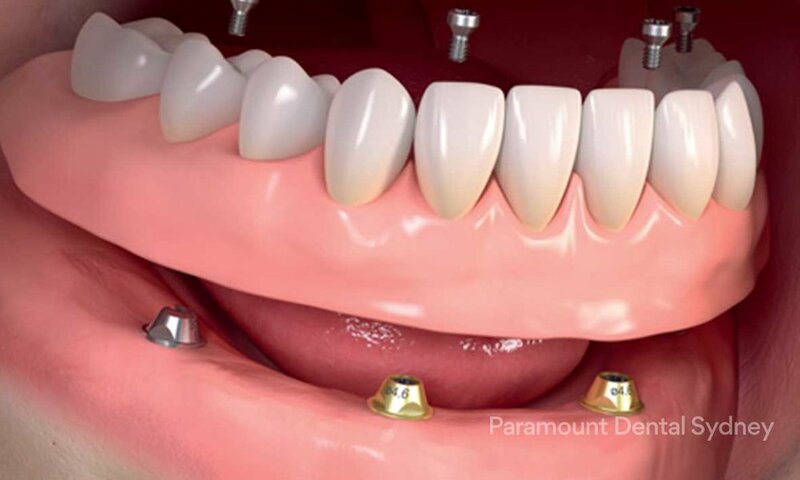 The implants and the bone need to integrate and bond to form an anchor, while this is happening your dentist can put temporary teeth in place. Finally, replacement teeth, or bridges, will be created for you by your dentist and attached to small metal posts, called abutments. As every case is different, our dental professionals will work with you to determine the best treatment plan.